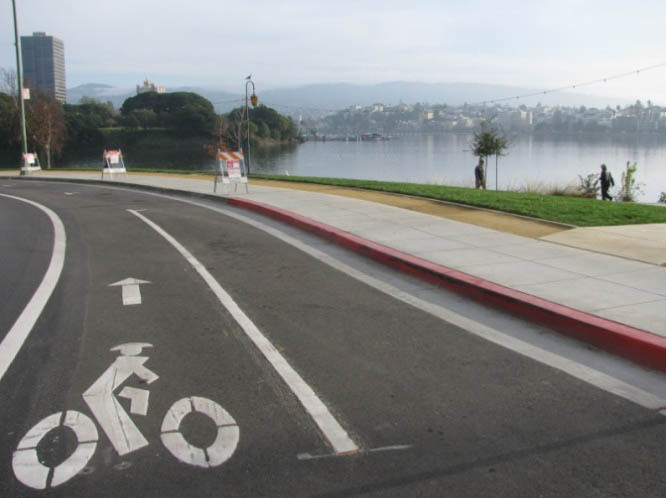 Routinely ranked among the greenest U.S. cities, Oakland is leading the way to a greener future for all by ensuring that new development meets high green performance standards. 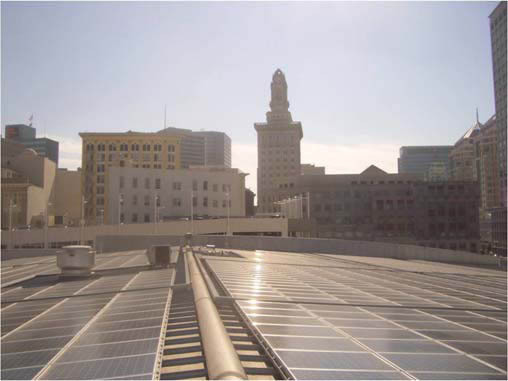 The City of Oakland has a long-standing commitment to green building and becoming a more sustainable city. 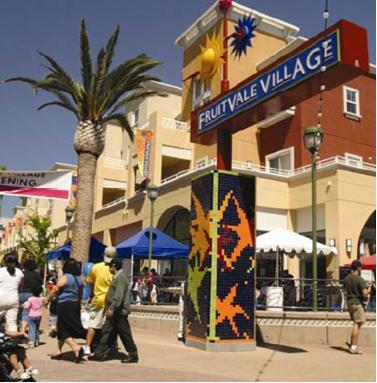 In 2005 the City adopted a civic green building ordinance requiring green performance in major civic projects, and a number of policies that help to improve the green performance of private development projects. Continuing this leadership, a comprehensive green building ordinance for private development projects was recently adopted by City Council on October 19, 2010 (13040 C.M.S.). In addition to Oakland's local green building ordinance, the state of California adopted a Green Building Code known as CALGreen in 2010. Both the City's local ordinance and the 2013 amendments to CALGreen are now in effect. This website will help you understand how Oakland’s green building policies and CALGreen may affect your project, and provide you with the tools and resources necessary to incorporate green building techniques successfully. City staff has prepared this important notice which hopefully will clarify the current City of Oakland's green building requirements for development projects with implementation of the 2013 Building Energy Efficiency Standards (Title 24) code revisions, effective July 1, 2014. Click here to view the notice. In addition, staff has revised the Green Building Compliance Standards Table. The construction, operation, and demolition of buildings tremendously impacts the environment, the economy, our health and productivity. Green building reduces the impacts associated with conventional building techniques by focusing on a whole systems and environmentally beneficial approach to the siting, orientation, design, construction, operation, and demolition of buildings and landscapes. Green building strategies integrate materials and methods that promote natural resource conservation, improve energy efficiency, contribute to the health of employees and residents, and increase economic vitality. Green buildings can also save money on utility bills and decrease maintenance and operation costs. Green building is really just good design, construction and maintenance! Choosing a building location away from habitats on a developed lot near transit options. Here you can learn how to successfully complete your green building project, comply with the green building ordinance or simply increase your knowledge of green building. Discover what project types, including new construction, remodeling work, tenant improvements, historic structures, mixed use projects, and landscapes will need to comply with the green building ordinance. Access application forms, applicable green building rating programs, green building checklists, the ordinance and attachments, as well as related staff reports. Click here to visit the Policies & Requirements page. Located next to the Planning and Permit Center on the 2nd Floor of 250 Frank H. Ogawa Plaza, the Green Building Resource Center provides an introduction to green building practices and materials through samples, case studies, and video and print materials. 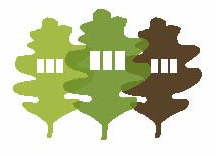 Click here to visit the Green Building Resource Center page. Includes a glossary of green building terms, links to education and training opportunities, green building guidelines, a list of GreenPoint Raters and LEED Accredited Professionals, specifications, technical tools and assistance. Click here to visit the Resources page. Find step-by-step instructions on what to submit for the Planning, Building and Inspection phase of your project to comply with the ordinance. Click here to visit the How to Succeed page. Learn answers to common questions. Click here to visit the FAQ page. Includes detailed examples of recently completed green single-family, multi-family, commercial, historic and neighborhood projects that have been recognized by the City Council for high green performance. Click here to visit the Case Studies page. Find out about available green building incentives and rebates. Click here to visit the Incentives and Rebates page. The place to find green building events, conferences and press about green building in Oakland. Click here to visit the Events and Press page. For general information contact Heather Klein at 510-238-3659 or at hklein@oaklandnet.com.